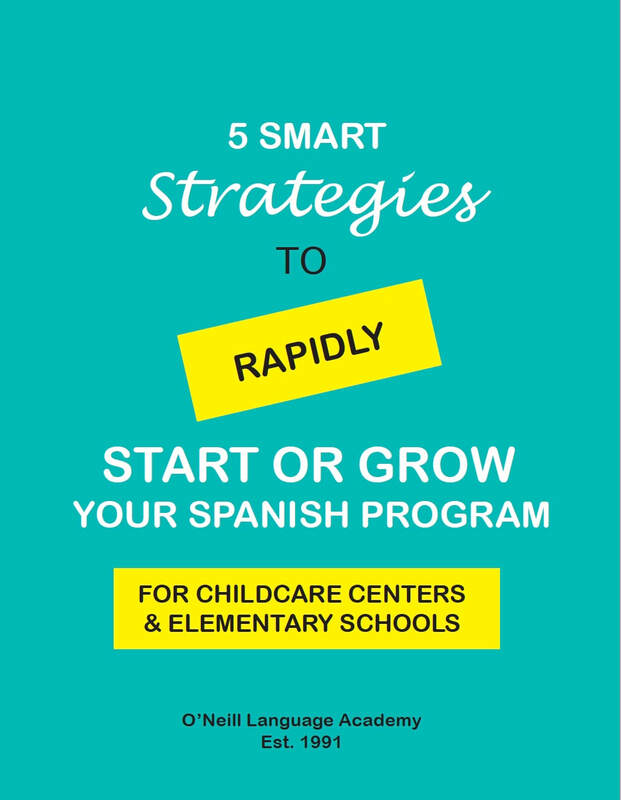 ​HERE IS YOUR PDF DOWNLOAD OF 5 SMART STRATEGIES TO RAPIDLY START OR GROW YOUR SPANISH PROGRAm! ​If you'd like to use the Teach & Learn Spanish curriculum for your childcare or elementary classroom or school, you can find it in the bookstore on this website. Wonderful if it's right for your childcare center or school? ​You can learn more about the Teach & Learn Spanish curriculum here.